The rise and fall of cyclist Marco Pantani. Through footage painstakingly composed of interviews, televised races and (most urgently and striking) amateur video camera recordings, director James Erskine assembles a thorough showcase of Pantani’s talents, which are simply astounding. We open upon a panorama of snow covered mountains, a jagged series of peaks that thrust dangerously into the obscure mists of the clouds: the unforgiving zeniths of the Pyrenees, a geometrical intermediary between land and sky, separating men from the gods. It is such harsh terrains that Marco Pantani, the Italian cyclist widely considered to be the greatest climber in racing history, surmounted and made his own. Known as ‘Il Pirata’, Pantani was celebrated both for his sporting prowess and flamboyant persona, and remains the only competitor to conquer both the Tour de France and the Giro d'Italia in the same year. Fittingly, for a sportsman whose raison d’etre concerned the traversing of such impossible elevations, Pantani: The Accidental Death Of A Cyclist details the rise and fall of this enigmatic athlete, showcasing his extraordinary talents and recounting his tragic end due to late career doping insinuations. But Erskine’s film is no mere hagiography. There is intense meditation upon cycling from the film’s myriad of talking heads (including those close to Pantani, and other competitors like Bradley Wiggins), which touches upon the near existential undertaking the professional standard entails; we are reminded that this ‘sport for loners’ is essentially ‘six hours of constant effort’, a gruelling undertaking that leaves the neat timescales of, say, soccer behind. For enthusiasts of the sport and the completely uninitiated (i.e. me, whose consideration towards people riding on bicycles has previously extended no further than lamenting them being on the road when I’m in the car), Erskine’s documentary makes cycling seem utterly vivid and completely thrilling, placing us squarely among the vertiginous drops and hefts of the passes as we follow Pantani’s journey. We are told that, at least before the whistle blowing of the late '90s which eventually implicated Pantani, drug use was/is rife within the cycling world, with chemicals utilised both to provide contraband velocity, and also simply to relieve the agony of traversing mountain passes. Not only, it seems, do drug companies and management teams have conspiratorial interests in perpetuating doping in cycling, but there are other external concerns that impact upon the sport too, specifically the Italian gambling industry and the 200 billion lire of bets placed upon the tours. 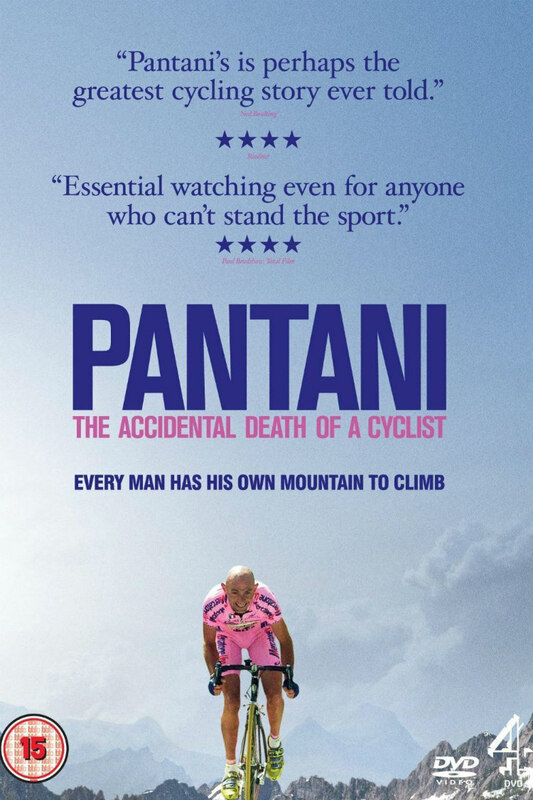 The film positions Pantani as caught between both poles; his dominance of the sport negatively impacting the bookies, and the prevalence of drugs an implied temptation that, the film suggests, would not have been especially extraordinary at that time (Pantani was never officially accused of doping, but he was nonetheless debarred, an intrigue that Erskine explores judiciously). The film’s final act has the diminuendos of a thriller as the interference of these institutions results in Pantani’s ignominious disqualification and subsequent depression. Pantani is presented as a victim (with the always irksome Lance Armstrong smugly fulfilling a villain role), and as well he might be, as even if Pantani did partake of pharmaceuticals, does this (accordingly commonplace) transgression overwrite the skill, the hard graft and the grit that also enabled his success; does it diminish the utter joy and inspiration that he wrought, witnessed in the cheering crowds abundantly captured in the footage of this fascinating film? The excellent curators at We Are Colony provide another embarrassment of riches here, with umpteen interviews, stills and other goodies. 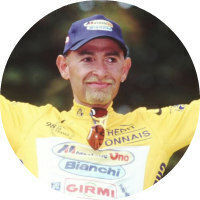 There are discussions with cycling experts, the film makers and even archive footage of the flamboyant Pantani himself. Plenty here about this enigmatic character and the incredible demands of the sport he conquered if you are interested in finding out more, which, after watching Erskine’s movie, you will be.